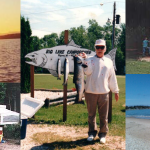 Fish with Captain Don Linse, owner/operator of the “Sea Hawk” on Lake Michigan for salmon & trout. 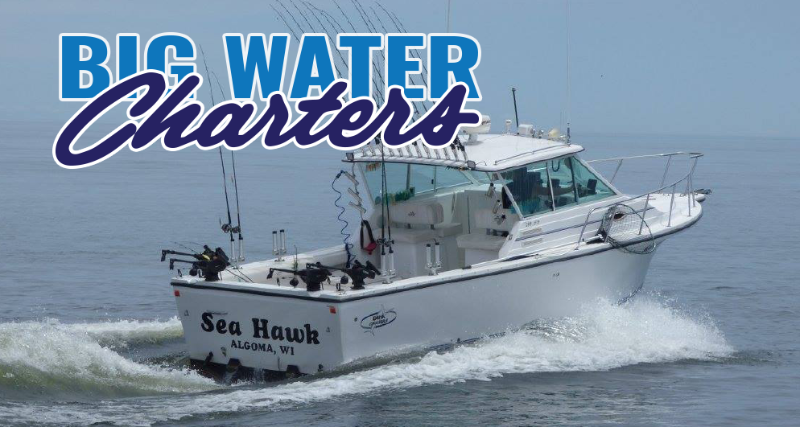 Big Water Charters is located at the Sunrise Cove Marina, 70 Church St., Algoma, WI. We also offer lodging packages at the River Hills Motel that include licenses, fish cleaning & ice for your catch. We can also accommodate larger groups. Fish aboard the Sea Hawk, a 2005 30′ Baha Cruiser Sportfish with twin 350 Mag fuel injected engines. Spacious deck for fighting &landing your fish. Seats up to 6 passengers (plus the captain & first mate). We can accommodate larger groups with a 2nd boat upon request.